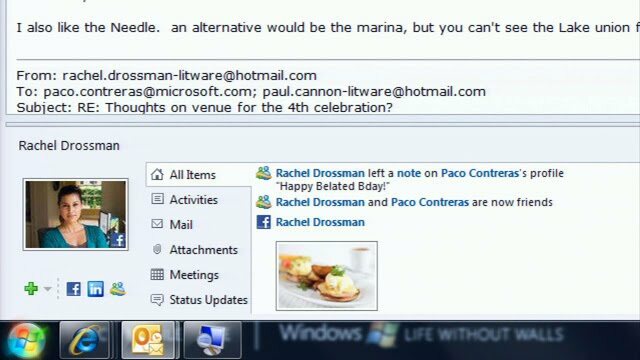 "Microsoft is announcing today that it has integrated Facebook and Windows Live Messenger into Outlook, bringing the streams of millions of Facebook users into inboxes across the world. Last year, Microsoft launched Outlook Social Connector, a plugin that syncs social networking feeds with your Outlook contacts, giving you immediate data on what they are doing and thinking. It started last year with LinkedIn integration, but soon the company announced MySpace and Facebook were coming..."
Who Blocked Who in Skype and Fring Fight?